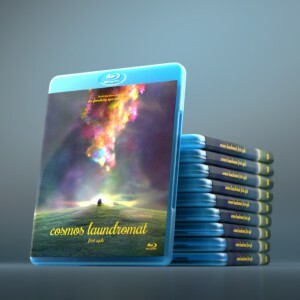 The render demands for our 3d animated film will be huge. We do everything in Cycles with big environments, loads of grass and fur, expecting render times of 3 hours per frame or more (on regular fast i7 cpus). A quick estimate is that for 10 minutes film we then need 60 systems full time for more than 3 weeks. And that not counting tests and re-renders. 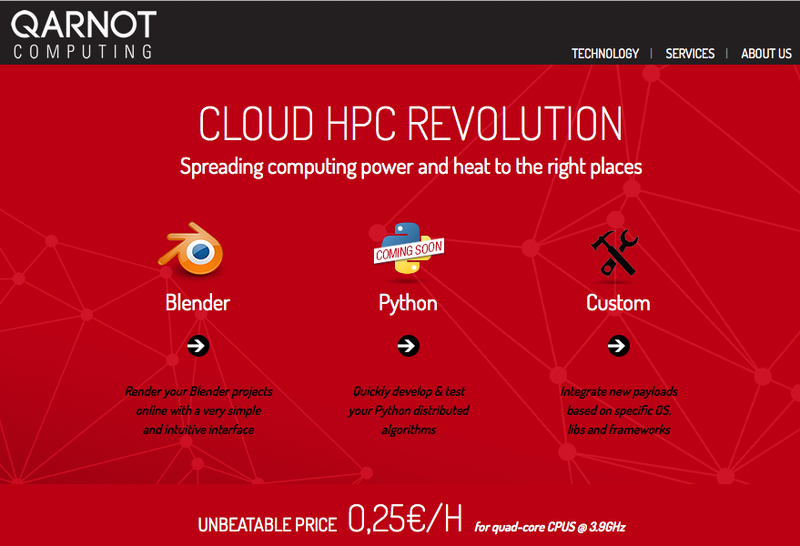 For that reason we’re very happy to have a powerful partner to help with it: Qarnot Computing from Paris. They already supported our renderfarm software development, and will now offer us free rendering of the full Gooseberry Pilot (10 minutes + credits). During the next two month we can get up to 64 systems in average, with possible peaks to 100 systems! We will only (mostly) render finals at Qarnot. Expect all the details and render time info being posted here! For tests and preview renders we’ll keep using our own farm, which gives a very fast throughput now. Thanks everyone at Qarnot, especially to CEO Paul Benoit, who presented their platform on the previous Blender Conference. Has the insitute considered in the past or present to use distributed rendering instead of using ”cloud’ or server farms – I.e. distributed at home? For example letting each computer rendering one or part of a frame? Perhaps it is a naive question, and there may be technical constraints that prevent this. That’s exactly what Qarnot does! The part about distributed rendering in people’s homes. Check out their website or video of their talk from the 2014 Blender conference. A mix of using corporate sponsors, and maybe supporting an open source distributed rendering solution for Blender, e.g. BURP ( http://burp.renderfarming.net ) to do a certain amount of it, would have been cool. I know BURP has been used to re-render BBB in 3D ( http://burp.renderfarming.net/forum_thread.php?id=2222 ), would be cool to have some official support for it ( e.g. render 5% of the movies on it ). This could only encourage more users to support BURP as a free solution to people who can’t afford the commercial versions – which of course also play a part, as support etc is very important to paying customers. If I remember correctly, ‘renderfarm.fi’ is/was sort of like what you said. But since they’re not using it, there must be some problems with it that prevent them from using it, or maybe it doesn’t exist anymore, or never got enough nodes to actually be fast and useful, or something. I think grid rendering is something that’s had consideration, but they apparently decided that the infrastructure for it wasn’t in place for them to rely on it for this. so don’t think it was in response to the main blog post, that would be confusing.